Website retargeting–a display advertising method that shows your ads to visitors who previously visited your website, but are now visiting other sites–is growing in popularity among marketers. And for good reason: according to a study by retargeting vendor Criteo, website visitors who are retargeted with display ads are 70 percent more likely to convert on your website. If you are new to retargeting or just need a refresher, read this great post on SEOMoz that covers the basics. At Software Advice, we’ve experimented with site retargeting over the last two years. As a young company with a limited budget, we had to learn effective retargeting through trial and error. To help companies that are considering dipping their toes into the retargeting pool, we’d like to share five lessons we learned along the way. The first step is to select a retargeting platform. There are several vendors to choose from, and, as usual, each has its strengths, weaknesses and idiosyncrasies. Self-service platforms are best-suited for Internet advertisers who want control over things such as detailed audience segmentation, ad spend and reporting capabilities (e.g., custom tracking parameters to draw data into your in-house reporting system). These platforms require more attention to detail and effort on your part, but give you more control over results. We’ve worked with five of the leading retargeting vendors. Below, we break down what we liked about the platform and the limitations we encountered. After picking a vendor, you need to set several targeting parameters. Among other things, you need to decide where (geographically) you want to run your ads, at what time they’ll run, how long they’ll run, and how often visitors see the ad. Here are some tips on each consideration. Audience geography. You should always double-check your audience geography settings because many vendors default to displaying your ads internationally. We neglected this area with two vendors early on and had to contact our account manager to turn off the international setting. Fortunately we caught the mistake, but we wasted ad spend on clicks we couldn’t monetize. Day and time. Our sales team leaves the office at 6:00 PM every day and doesn’t work weekends. So, we pause our accounts during off hours because we know we have less success with conversions at these times. To determine the best time to run your ads, evaluate conversion rates and return on investment (ROI) by day of week and time of day. Cookie duration. You should align your retargeting efforts with your buying cycle to limit the cookie duration of your ad. For instance, interest in planning a vacation wanes quickly, so a travel site might limit their cookie duration to five days. But an enterprise software purchase will play out over several months, so the vendor might retarget a visitor for 60 days. The default setting for most retargeting platforms is 30-90 days, so be sure to adjust the cookie duration to match your sales cycle. Number of impressions per visitor per day. Buyers get tired of seeing your ads everywhere they go on the Web. To limit ad fatigue, we restrict the number of times a visitor sees our ads to no more than 10 impressions per day. The number of impressions you serve each visitor is influenced by your buying cycle. Longer buying cycles, for instance, will likely require impressions to come at less frequent intervals because you’ll just want to stay top of mind through the buying process without annoying the user. Offer rotation. In addition to limiting the number of impressions per visitor per day, you want to rotate the ads you serve each visitor. They may not be interested in that whitepaper offer, but they do want a free trial. This allows you test different creative content while also limiting the chance of ad fatigue setting in with the user. All visitors are not the same. So, you shouldn’t show every visitor the same offer and ad copy after they’ve left your site. To segment your audience, you first need to divide your website into areas of interest. One logical segmentation would be to organize your website by industry (vertical market). Another might be to segment based on the products you offer. In either case, you’ll build a profile of your visitors by tracking which URLs they visited (e.g. www.acme.com/industries/financial-services). Using this method, you could offer a large financial services firm a different ad than you would a municipal utility. Or present offers for the product the visitor reviewed while on your site. Of course, the success of your retargeting efforts will depend on having a clearly defined website architecture, but you can evolve that over time to create more granular and targeted URLs. At Software Advice, we’ve focused most of our testing around adjusting headlines, main body text and the image. You can see the impact these adjustments can have on click-through (CTR) and conversion rates. We run our ads for three months so we can achieve statistical significance in our tests. 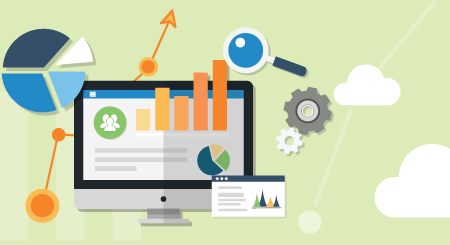 While the timeframe will vary for your industry, we believe you need 500-1,000 clicks (or 50-100 conversions) on any ad in order to gather enough data about its effectiveness. When working on a limited budget, we recommend testing in your largest segment first so you can quickly achieve statistical significance and then roll it out to your smaller markets only if it performs. As you’re conducting these tests, it’s important rotate your ads because you’ll quickly encounter diminishing returns if you oversaturate visitors. If the target has not clicked on an ad after 5-10 impressions, change the ad and see what happens. 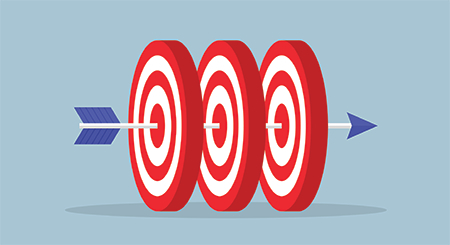 As you test and tweak your site retargeting campaigns, it’s important to remember that it can be difficult to properly attribute your retargeting efforts. For instance, how do you attribute a conversion from a visitor who originally found your website via a PPC campaign, bounced, and then later converted from a retargeting ad? Or what about a view through conversion, where someone converts on your site because they saw your ad but they didn’t click on it? This problem is as old as advertising itself and there is no definitive solution. However, we give 100 percent attribution to our retargeting campaign if the conversion resulted from a click on a retargeting pixel. While this post doesn’t cover every aspect of retargeting, it should help get you started on the right path–and save you time and money in the process. If you have any tips to offer others, please leave us a note in the comment section below.